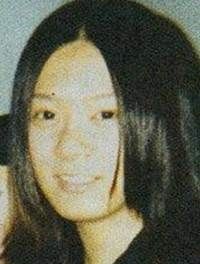 AUSTIN – The Texas Department of Public Safety (DPS) is asking for the public’s help in solving the 2002 murder of Mikiko Kasahara, 21, in Seguin. As part of the DPS public awareness program, one unsolved case is featured each month by the Texas Rangers Unsolved Crimes Investigation Team in an effort to generate new investigative leads and bring added attention to unresolved or “cold cases” across the state. In December 2002, Kasahara – a foreign student from Japan attending Texas Lutheran University in Seguin – held a party for her close friends to celebrate the end of the fall semester. The following morning on Dec. 14, a fire was reported in her apartment complex, and Kasahara was found dead inside her burned apartment. An autopsy determined she had been murdered. Guadalupe County Crime Stoppers will offer up to $1,000 for information leading to the arrest of the person/persons responsible for Kasahara’s death. To be eligible for the cash reward, individuals can submit a tip by calling 877-403-TIPS (8477) or online at www.gccsTIPS.com. Anyone with information can remain anonymous. Individuals can also submit information through the Texas Rangers’ Cold Case website or contact the Missing Persons Clearinghouse at 1-800-346-3243. The Texas Ranger Unsolved Crimes Investigation Team was created to assist Texas law enforcement agencies investigating unsolved murders or violent serial crimes. Since there is no statute of limitations for the offense of murder, investigators pursue these cases to a successful resolution or until no viable leads remain. In addition, DPS created the Texas Rangers’ Unsolved Homicides webpage aimed at renewing public interest in unsolved cases. The site features more than 75 cases, including the division’s Top 12 Unsolved Cold Case Investigations. For more information, visit the Texas Rangers’ Cold Case website at: http://www.dps.texas.gov/TexasRangers/UnsolvedHomicides/index.htm.